“He that has an ear, let him hear what the Spirit says to the churches; He that overcomes shall not be hurt of the second death” (Rev 2:11). “And he showed me a pure river of water of life, clear as crystal, proceeding out of the throne of God and of the Lamb. In the middle of the street of it, and on either side of the river, was there the tree of life, which bore twelve manner of fruits, and yielded her fruit every month: and the leaves of the tree were for the healing of the nations” (Rev 22:1–2). God Himself is life, and the truth, and His life and truth coexist. Those who are incapable of gaining the truth shall never gain life. Without the guidance, support, and provision of the truth, you shall only gain letters, doctrines, and, moreover, death. God’s life is ever-present, and His truth and life coexist. If you cannot find the source of truth, then you will not gain the nourishment of life; if you cannot gain the provision of life, then you will surely have no truth, and so apart from imaginations and conceptions, the entirety of your body shall be nothing but flesh, your stinking flesh. Know that the words of books do not count as life, the records of history cannot be feted as the truth, and the doctrines of the past cannot serve as an account of words presently spoken by God. Only that which is expressed by God when He comes to earth and lives among man is the truth, life, God’s will, and His current way of working. Those who wish to gain life without relying on the truth spoken by Christ are the most ridiculous people on earth, and those who do not accept the way of life brought by Christ are lost in fantasy. And so I say that the people who do not accept Christ of the last days shall forever be despised by God. Christ is man’s gateway to the kingdom during the last days, which none may bypass. None may be perfected by God except through Christ. You believe in God, and so you must accept His words and obey His way. You must not just think of gaining blessings without receiving the truth, or accepting the provision of life. Christ comes during the last days so that all those who truly believe in Him may be provided with life. His work is for the sake of concluding the old age and entering the new one, and is the path that must be taken by all those who would enter the new age. The work in the last days lays bare the work of Jehovah and Jesus and all mysteries not understood by man, so as to reveal the destination and the end of mankind and end all the work of salvation among mankind. This stage of work in the last days brings everything to a close. All mysteries not understood by man needs must be unraveled to allow man to plumb them to their depths and have a completely clear understanding in his heart. Only then can the human race be divided according to their kind. … When the work of this stage has been fully completed, all mysteries not understood by man shall have been revealed, all truths previously not understood shall have been made clear, and the human race shall have been told of their future path and destination. This is the whole of the work that is to be done in the present stage. In this final stage of work, results are achieved through the agency of the word. Through the word, man comes to understand many mysteries and the work that God has done through generations past; through the word, man is enlightened by the Holy Spirit; through the word, man comes to understand the mysteries never before unraveled by past generations, as well as the work of prophets and apostles of times past, and the principles by which they worked; through the word, man also comes to understand the disposition of God Himself, as well as the rebelliousness and resistance of man, and comes to know his own substance. 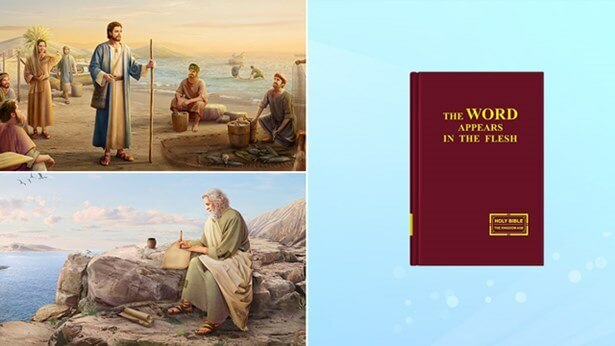 Through these steps of work and through all the words spoken, man comes to know the work of the Spirit, the work God’s incarnate flesh does, and even more, His entire disposition. … Of the words spoken in this stage, there is prophecy and truth, but mainly these words serve to bestow life upon man.